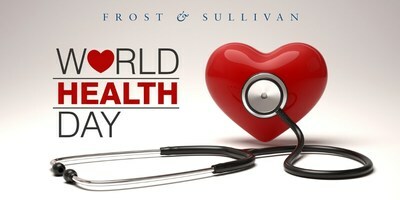 SANTA CLARA, Calif., April 7, 2019 /PRNewswire/ — Today is World Health Day, and this year’s theme is “Universal Health Coverage: Everyone, Everywhere—#HealthforAll.” An important aspect of “Health for All” is the role of technology, particularly patient monitoring (PM), which helps patients have better outcomes and live longer, healthier lives, even when access to hospitals and clinics is challenging. Patient monitoring has evolved from ad hoc to continuous monitoring of multiple parameters, causing a surge in the amount of unprocessed and unorganized data available to clinicians for decision-making. To extract actionable information from this data, healthcare providers are turning to big data analytics and other analysis solutions. Predictive analytics is becoming a particularly important technology, as it not only presents the current state of the patient’s health but also predicts future illnesses. The success of this technology, among many others, attracted $566.3 million in investments in 2018. Frost & Sullivan’s recent analysis, Patient Monitoring Industry—Analysis of Investment and Trends, 2018, offers an overview of the current investment trends and start-ups in select patient monitoring applications. It studies the future of patient monitoring across the continuum of care, the shifts in the market, and investment opportunities. It also presents the key disruptive technologies, application areas, drivers, restraints, as well as the top six Mega Trends. Brain-computer interface (BCI): From treating and monitoring users with mobility or speech disabilities, BCI now monitors and measures health metrics for healthy people and uses the information to analyze a person’s psychological state or emotional, cognitive state. Patient Monitoring Industry—Analysis of Investment and Trends, 2018 is part of Frost & Sullivan’s global Advanced Medical Technologies Growth Partnership Service program.